While it is true that every page of the Bible has something to say to us, sometimes, one part of the Scriptures is made particularly relevant by something about our circumstances. I think this is the case with the book of Malachi. Like the Jews of Malachi’s time, we live in a post-restoration existence. Like them, we’re part of a community of God’s people that has been serving Him faithfully for more than a hundred years. However, as Malachi reveals, being part of a faithful tradition is not enough to ensure that we personally are pleasing to God. Malachi points out several areas in which the Jews, rather than asking how much they could give to God, had begun to ask how little they could get away with giving. This was true with their marriages, it was true with their tithing, and it was true with their worship. Because our spiritual position is so similar to theirs, we easily can fall into the same trap. Let’s use a context in Malachi, then, to evaluate potential problems with our own worship. Chronologically, the first of these worship problems that Malachi identifies is DISRESPECT. Look at Malachi 1:6-7. This passage presents a striking contrast between the fury of the Lord and the puzzled contempt of the priests who were supposed to be honoring Him. In bitingly sarcastic language, God points out the difference between the respectful names they call Him and the disrespectful way in which they treat Him. In response, though, Malachi has the guilty priests reply that they don’t really see a problem. Even today, I fear that there are all too many Christians who see our song worship as no big deal. They come strolling in five minutes late, they’re tapping away at some social-media app all the way through services, and they sing unenthusiastically if at all. And yet, if a brother or sister confronts them about it, they respond with the same brand of dismissiveness as the priests in v. 6. “I’m here, aren’t I?” they reply. Brethren, these things ought not be so. A casual attitude toward our song worship is a disrespectful attitude. Like the culprits in Malachi, we’re priests too. We have been given an amazing privilege, the privilege of offering up spiritual sacrifices to the transcendent Creator of the universe. It should awe us that we are even allowed to do this, but too often, we act like we’re doing God a favor by showing up. I’m telling you the truth, friends: if we persist in such a disrespectful spirit, it will cost us our souls. The best cure for the disease is to fix our minds on the reality of God’s presence. Though we can’t see Him, He truly is here, and if we could see Him, I’m quite confident we wouldn’t have any difficulty being respectful. Holy men like Isaiah and Ezekiel were driven to the ground in awe at a mere echo of the presence of God. When we remember that and bow our hearts before Him in our worship, we are showing Him nothing more than the honor He deserves. Of course, the priests would never have dared to do any such thing. They knew that if they failed to give the governor their best, they wouldn’t appreciate the aftermath! However, they thought they could slack off with God and get away with it. God’s question is an appropriate measuring stick for our efforts in worship today. Once again, I don’t think that God is terribly concerned with the objective quality of our singing. What He does expect, though, is effort, the kind of effort we sink into serving anyone who is important to us. At the very least, we should invest the same level of effort into glorifying God as we do into pleasing our various earthly superiors. Let’s be honest with ourselves. For those of us who are still in school, what would have happened on our last school assignment if we had put worship-level effort into completing it? For those of us who have jobs, what would our boss say if he told us to do something and then watched us do it with the same oomph we put into our singing? In fact, if our boss were watching, would we dare to work at the level of our worship at all, or would we be afraid to sink so low? Now, brethren, I’m not saying that we shouldn’t be concerned about those who have power over our grades and our income. I’m saying that we should be more concerned about the One who has power over our souls. Third, we must pay attention to the dangers of APATHY. Malachi examines this subject in Malachi 1:11-13a. Here, God makes His point by way of contrast. On the one hand, He knows what the future holds. He knows that after the resurrection of Jesus, it won’t merely be Jews who are worshiping Him. Instead, people all across the globe will give Him glory. However, even though God’s greatness is going to be universally acknowledged, the special people whom He has chosen to serve Him seem indifferent. They complain about how tiiired they are of serving God, and they scoff at His worship. This illustrates a grim truth about human nature. No matter how good we’ve got it, we get used to the good thing we have, and we even get tired of it. As a result, I suspect that every Christian has struggled with apathy in worship, at least to some extent. In reality, though, apathy in our worship points to a larger problem. As a rule, people who are excited about every other aspect of discipleship don’t get bored during the singing. Instead, it’s Christians who are losing interest in everything else who lose interest in worship too. Our relationship with God operates according to the rules for relationships generally. No relationship is ever truly static. Either it is deepening and improving, or it is withering and dying. Apathy in worship isn’t the problem. It’s a symptom of the problem. Once we start seeing this problem in ourselves, it’s on us to reconnect. It’s on us to spend more time with God’s word. It’s on us to spend more time in prayer. It’s on us to spend more time imitating Jesus through selfless service. When we do those things, our weariness with worship will evaporate. The fourth problem in Malachi’s list is the problem of BLEMISHED OFFERINGS. Here, let’s keep going in Malachi 1:13b-14. According to the Law, the animals used in the temple sacrifices were supposed to be perfect, flawless. However, these unenthusiastic worshipers were trying to get away with offering animals that were clearly flawed, animals that were stolen or sick or lame. People didn’t want those animals, but apparently they were good enough for God. Today, we must make sure that the offerings that we present to God are as good as they can be. The hymns we sing are spiritual sacrifices, and they need to be unblemished sacrifices. This largely falls on the shoulders of the song leader, and I think there are two main ways that a hymn can be unsuitable for our assemblies. First, hymns can be lacking in spiritual content. The text of the hymn doesn’t have anything meaningful to say, and people primarily sing it because they like the music. There are contemporary hymns, for instance, that use ooohs and aaahs instead of having all the parts sing actual English words all the time. It’s hard for me to see that such hymns are prioritizing content the way they should. 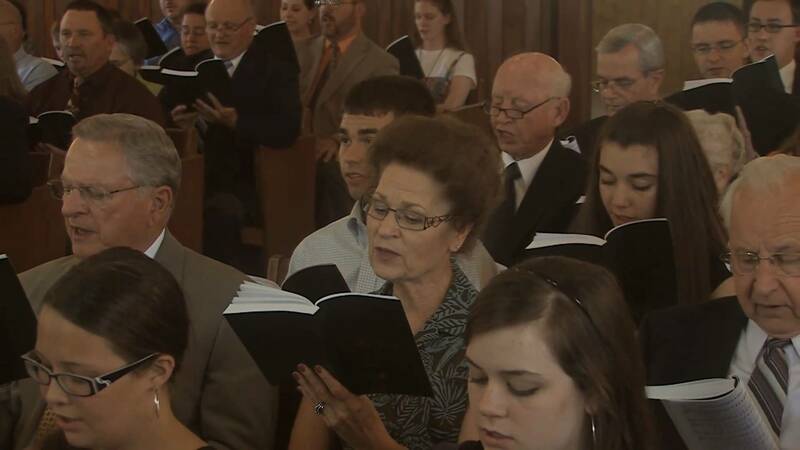 Second, hymns can be problematic when the music keeps the congregation from worshiping. This can be because the music is intrinsically too difficult for the congregation. No matter how hard they work, they’ll always be singing it focusing on the notes, not God. It could also be because a hymn is unfamiliar. I’m certainly a big fan of new hymns, but I do not believe that it’s wise to present a new hymn for the first time in the assembly on Sunday morning. Except for those who are top-notch sightreaders, an unfamiliar hymn will prove distracting rather than edifying. Instead, I think it’s far preferable to take the edge off new hymns first, by putting them forward in a class like the one Tim is teaching now. That way, once a core of people has learned them, they’re much more useful for worship in the assembly. Finally, worship problems can arise from FLAWED LEADERS. Here, let’s examine Malachi 2:1-2. The priests had a special responsibility before God. He intended them to serve as intermediaries between Him and His people. However, because they failed to fulfill His intent, He cursed them rather than blessing them. As we observed earlier, all of us are priests, but there’s also a sense in which the song leader takes on an especially priestly role in our singing together. When I’m by myself, I can sing whatever hymn I want to, and I commonly do. However, when we are together, the song leader sets the terms of our corporate worship. This means, then, that the song leader has to make the effort to be the best song leader he can be. The work of the song leader is too important for any man not to take it seriously. Once again, it’s not important that men have differing levels of ability. I myself don’t have the talent for leading that some do. What is important is that we max out the ability we do have. This starts with training. This weekend, Tim is leading a workshop for our song leaders. I am convinced that every man who wants to lead singing here needs to attend that workshop. Even those of us who have been through such training sessions before will benefit from the refresher. The more comfortable we are with technical attainments like blowing pitch, beating time, and knowing how to order a song list, the more useful to the Lord we will become. Second, a diligent song leader will invest himself in preparation every time before he leads singing. Just like I think a sermon is too important not to prepare for, so I believe that a song service is too important not to prepare for. I don’t think a song leader ever outgrows the need for prayer, for thoughtful reflection on what he wants to say, and for running through his hymn list privately to make sure there aren’t any problems. Of course, sometimes a man finds himself leading singing on short notice, and that’s one thing, but not using the time available is quite another. Excellent! It is humbling to me to know that God, the Creator of all, will accept the sacrifice of my voice. There are times that I can’t sing a hymn because the words hit me so hard, I get choked up. I de really wish that we would not have unfamiliar songs during worship. I might as well be reading the comics if I can’t put my all into it.